Yesterday, it was exactly a quarter century since I last heard your heart beats. It is exactly 25 years ago today that my world fell in and blew apart; simultaneously imploding and exploding. No heart beats one morning. Later that day, when I held you, you were both impossibly perfect, even in your tininess. June 18th, 1993 was the day I suddenly got old. I lost my innocence that day. The world had always been unfair to many, but that day it got incredibly personal. Life was profoundly unfair to me that day. The day when the unfairness of the world hits a person like a Mac truck is the day when that person grows old in a hurry. The world just didn’t feel as safe for me after that. Babies, I did everything the doctors said (and more) to have a healthy pregnancy, and yet still my body couldn’t hold you safe. I did everything right, and I still got wronged. You got wronged. I wanted to protect you and I couldn’t. Your lives and deaths had me experience, in my bones, how we all do, will, or have hurt. Pain that pulls deep screams from the core. Pounding hurt that made my head ache, that had my eyes cry until they were swollen, and stopped sleep from coming. It was dark, for a long time. And then, over the months, I found ways to give myself permission to smile again, at a friend’s joke, or appreciate their caring, and even to enjoy a movie. It wasn’t easy to live in a world without you in it, but when I found ways to remember you often, I was better able to let go of the crippling grief. I still have a reminder of you in most rooms of the house–silently and quietly reminding me of you. I’m not the only parent that celebrates significant days in her kids’ lives by sitting at the cemetery, and writing thoughts. It’s hard for all parents to go to the cemetery to celebrate a birthday. Little boys, less than a month after you were born silently, my nephew and your cousin, M, was born–alive and healthy. When I went to the hospital to hold him, it was hard. My brother quietly put down the camera he had in his hands…it wasn’t the right time to take a picture of his new baby in his sister’s arms. To hold him when my arms were longing to hold the two of you, just made my empty arms seem that much emptier. I cried and cried, even as I admired how perfect a little boy he was. He was sweet and adorable all on his own. but his life–at first–made me more aware of your deaths. That little baby, M, grew up and graduated from university just last week. He’s a smart one, always has been. He’s artistic and expresses himself with a personal style that is quirky and endearing. I still smile when, as a little boy, he pulled out grandma-sewn-pajamas from the gift bag on his birthday, and he exclaimed: “This is pajamas! This is not a birthday present.” His parents quickly hushed him…implying he didn’t mean what he said. But he did–and we all laughed at his candidness. The baby-turned-man M got married at Christmas…and he knows darkness, too. There was a hole in his wedding party—the best man spot was empty. His best friend, S, died a couple of years ago when the weight of life got too heavy for him. M knows the dark pain of grief, and he doesn’t run from it. He names it and lives with sadness, even at his wedding–the most joyful day of his life. I admire his wisdom. I loved how he celebrated S’s life, even as he celebrated his marriage. He doesn’t hide how his heart was broken, even on important days. You guys aren’t just loss for me. You are also very much part of my joy. I think moms learn far more about themselves and about life from their kids than the other way around. If the death of a child doesn’t kill you, nothing will. And grieving your deaths pushed me hard, but I survived. And since, nothing has pushed me as hard, and so, while I have times of stress and distress, I know that I will get through. If I can live in a world without you in it, I can do anything. I think part of losing you means that I have changed. Blues are bluer, red is redder, joy is more joyous. Sad is heartwrenching, but I don’t fear it to be fatal. Life is precious and sacred and fragile—and that makes the whole scary thing more beautiful. I’m not scared of other people’s grief. Your deaths taught me to not be scared of my own. 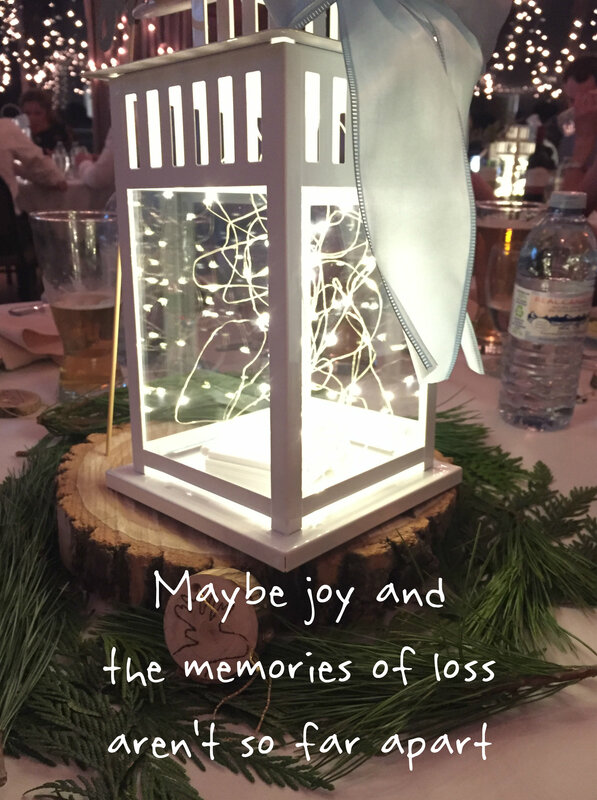 Husband lost his sweet Janna, and then his wife…and he and I got to know each other when others didn’t ask him about his losses. It felt easy and obvious to invite him to tell stories of them–and he was hungry to talk about them. We got to know each other through the sharing of grief…which made the joy of love seem all that much sweeter when it came months later. Maybe your deaths helped me find Husband…I like to think you had a part in it. We have another son getting married this weekend! This morning I went shopping to prepare. It’s weird, and oddly right to be prepping for one son’s wedding, even as I’m grieving the deaths of other sons. The groom will be grieving an important hole in his wedding this weekend. I may be standing beside his dad for the pictures, but we all know that the hole remains where his mom should be. His mom, who desperately didn’t want to miss these moments, won’t be there. It’s not fair that she won’t be there. That Mac Truck of disappointment hit him far too early in his life. It’s painful and it’s hard…even on the day that he weds his bride on the day they have been planning for months. He’ll be smiling at his bride and filled with the giddiness of the day, but the ache will be silently present underneath. The ache is silently underneath for so many, so often…maybe this world would be a kinder gentler place if we all loved each other knowing that there are unseen wounds from the unseen but very present holes in our lives. 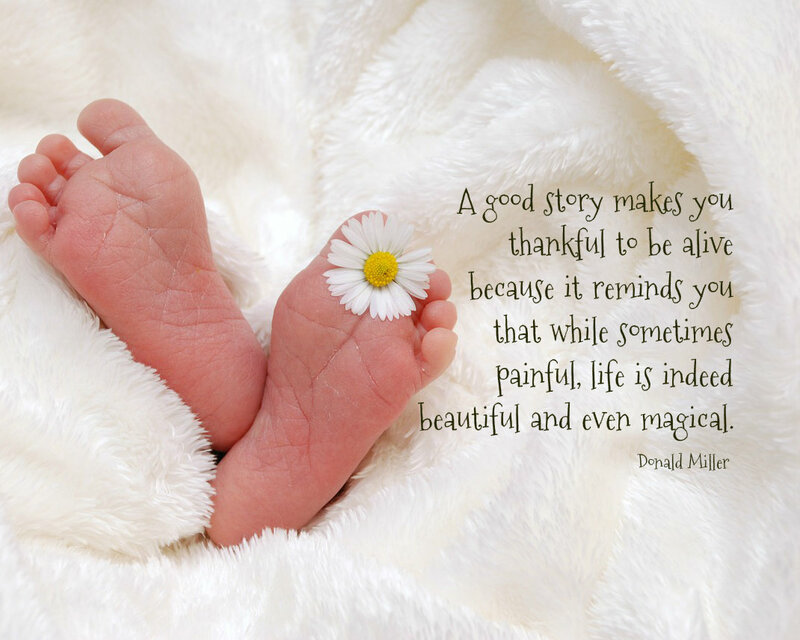 Babies, you have both made a presence in my life that has never been filled by anything since. I love my other sons, and derive much joy from being their mom. Life is good…but nevertheless, the hole persists.